Today our midwives came to our home to do the home check and make sure all our supplies were in order. One of the tasks I had left to do was make my afterbirth sitzbath pads. Do you know what this is? I’ve read amazing reviews and women rave about the comfort this brings. Basically its a soothing tea blend that you pour onto pads so you can wear while healing. It helps with inflammation, healing and provides great relief to very sensitive areas. You can also put into a shallow bath and “sitz” German for sit. In a bath you can sit in it for a similar affect. Once you steep the loose tea mixture you pour onto pads and then wrap the individual pads up into a bowl that you can place in the freezer until you need them. 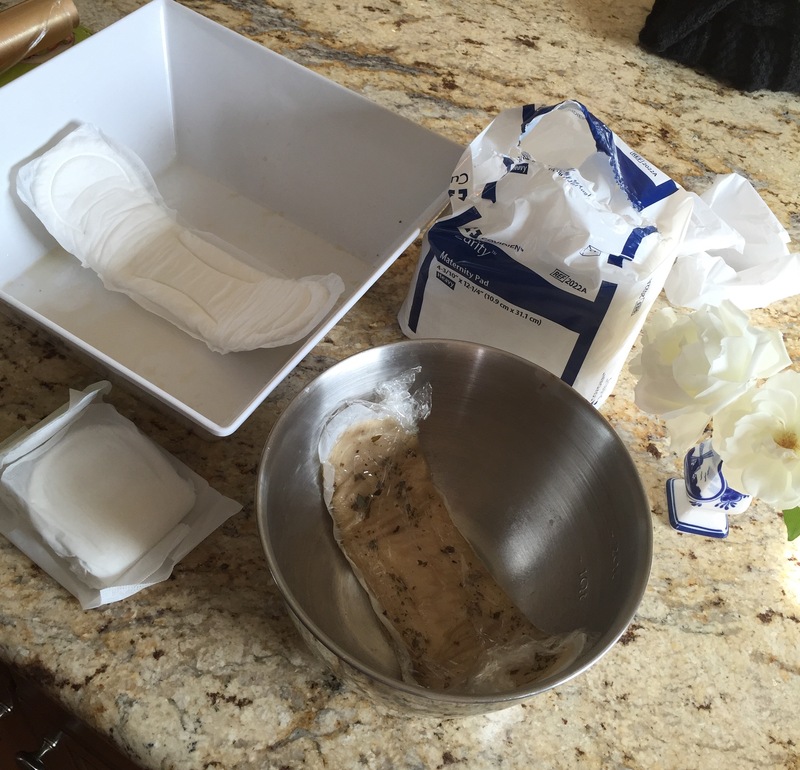 I can tell you already even without trying them, I think even if you don’t have a home birth you should make a batch of these up for when you return from the hospital or birthing center. I did about 10 pads to have on stand by. 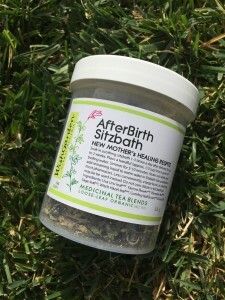 The brand that I’m using that came in my home birth kit is Wish Garden Herbal Remedies . The company has been around since 1979 and is also organic. It was recommended to me to use a bowl to have them sit curved up on each side in the freezer, not flat. So that’s why the metal bowl. Also it’s okay for the leaves and herbs to get on the pad, doesn’t need to be strained unless you want to.